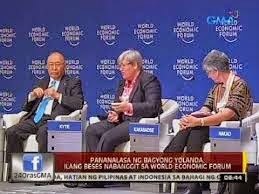 MY PROFESSIONAL OPINION AND CRITICISM AND COMMENTS AND CONSULTATION AND VOICE ON THE ISSUES IN THE PHILIPPINE SOCIETY AND GOVERNMENT AND NOW ISSUED AND TAG AS SICK MAN OF ASIA BUT THE NEXT ASIAN MIRACLES DURING THE WEF OR WORD ECONOMIC FORUM AND CRITICIZED BY THE FINANCE INDUSTRY LEADERS BUT ACCORDING TO TETANGCO IT IS A PRODUCT OF HARD REFORMS. IS NOT NOW DREAMING IN HIS ECONOMIC DEVELOPMENT AND CONTINUESLY TAG AS SICK MAN OF ASIA BECAUSE THE PHILIPPINES NOW IS IN HIS HIGHER INVESTMENT GRADE RATINGS OR OUR COUNTRY IS DEVELOPING. ACCORDING TO PRESIDENT AQUINO HE ELEVATE OUR ECONOMY TO INVESTMENT GRADE BUT MANY PEOPLE ARE JOINING RALLY AND PROTEST VOICING OUT THEIR GRIEVANCES OF STILL IN POVERTY AND POOR LIFE OR THE LIFE IN THE PHILIPPINES IS STILL NOT IN GOOD CONDITIONS AND ONLY FEW ARE ENRICHING THIS DEVELOPMENTS ACCORDING TO THE MASS PROTESTERS OR THE PEOPLE SUFFER THIS CONDITION IN LIFE OR IN HIGHER ANALYSIS WE HAVE HIGHER GDP BUT THIS GDP IS PRODUCTION OF FEW PEOPLE WHO ARE PROFITING THE DEVELOPMENTS. ON THE PAST WEF WORLD ECONOMIC FORUM PHILIPPINES WAS NOW TAG AS THE NEXT ASIAN MIRACLES WHO WILL RISE IN HIS BED AS SICK MAN OF ASIA. MEANING THE PHILIPPINES IS VERY MIRACULOUSLY ELEVATED IN HIS ECONOMY INSPITE OF HIS COUNTRY PROBLEMS FROM POLITICS, CORRUPTIONS AND ABUSES, ETC., ETC. WE HOPE AND WE BELIEVE IN GOD THAT MIRACLES HAPPENS AND HE GUIDE PRESIDENT AQUINO AND HIS OFFICIALS AND GOVERNMENT AND PEOPLE AND THE ENTIRE PHILIPPINES IN GOOD ECONOMY IN HIS NEXT TWO YEARS TO GOVERN AND HE MAKES A LOT OF PERSPECTIVE FOR THE NEXT FUTURES YEARS OF DEVELOPMENT. 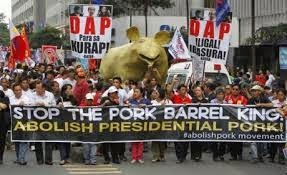 BEING SLAMMED BY THE CORRUPTIONS IN THE PHILIPPINES OR THIS NEXT ASIAN MIRACLES WERE BEING BLOCKED AND HOCUS POCUS AND EVILED MUCH BY THE ABUSERS AND CORRUPT IN THE GOVERNMENT AND OUR PRESIDENT HAS ISSUE IN DAP TO DEFEND AND THE PEOPLE ARE PROTESTING IN THIS HOCUS POCUS IN MIRACLES. THE PHILIPPINES STILL BECOME SICK BECAUSE OF CORRUPTIONS LIKE IN PDAF AND DAP AND THE DEVELOPMENT IS NOT GETTING PREGNANT DUE TO THIS CORRUPTIONS BUT ACCORDING TO PRESIDENT ON THE ISSUE IN HIS DAP SPENDING HE PUT IT IN DEVELOPMENTS EVEN AUDITED. THE MIRACLES WORK OUT FIRST BY UNITY OF SUPPRESSING CORRUPTIONS AND ABUSES AND OPPRESSIONS TO MAKE THE COUNTRY DEVELOP, THE PEOPLE WERE UNITE AND VOICE THE EQUAL JUSTICE FOR GOOD OF ALL. MY CRITICISM AND COMMENTS AND OPINION THE PRESIDENT HAS TO LEAD THE COUNTRY WITH FAITH TO GOD THRU JESUS CHRIST AND HE WILL BRING THE COUNTRY REFORMATIONS INTO GOOD SYSTEM AND GOOD GOVERNANCE AND THE MIRACLES AND BLESSINGS BE WITH HIS EFFORT IN HIS GOVERNANCE AND WE WILL RECEIVED IT IF WE HAVE FAITH LIKE SIMPLY GOOD WEATHER IT WILL GIVE US GOOD PRODUCTIONS AND ECONOMY. WELL IN OUR PRESIDENT TIME, THE PHILIPPINES WAS TESTED MUCH IN THIS EVENTS AND LUCKILY ACCORDING TO PRESIDENT WE ARE IN GOOD ECONOMY IT IS MIRACLES ON WHAT IS HAPPENING IN THE COUNTRY ON LEFT AND RIGHT AND ALMOST ENTIRE PHILIPPINES SUFFER DEVASTATION COMES FROM GOD MADE CALAMITY AND MAN MADE DISASTER AS WHAT HAPPENED IN ZAMBOANGA SIEGE. THE PRESIDENT AQUINO GOVERNMENT FACE A LOT OF THINGS TO RESOLVED AND DISTURBANCES IN HIS GOVERNANCE TO STAND STILL AND CONTINUE TO DEVELOPMENT AND GROWTH. 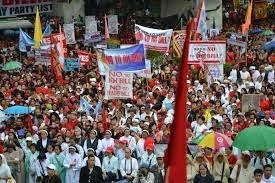 THE SICK MAN OF ASIA DEVASTATED BY TYPHOON MIRACULOUSLY WILL STILL STAND AND RISING WITH THE LOVE OF OUR FELLOW PEOPLE AND THE UNITY AND HELP OF OTHERS, THE UNITY OF PEOPLE PRAYING FOR MIRACLES AND THE GOVERNMENT 55 PERCENT EFFORTS IN GOOD GOVERNANCE HAVING CORRUPTIONS AND ABUSES TO SUPPRESS LIKE PDAF AND DAP. LUCKILY WE ARE NOT ALL WINDMILLED BY THE YOLANDA STRUCK THE PEOPLE HAVE FAITH STILL GIVE US MIRACLES FROM GOD FROM STORM DEVASTATION. THE SAID KIND OF DEVASTATIONS ARE NATURAL GODS MADE IN WEATHER CYCLE WITH OUR FALSIE IN CARING GLOBAL ENVIRONMENT AFFECTING CLIMATE PRODUCING HEAVY STORM OR MAKING LOW PRESSURE AREA TURN INTO STORM. THE PRESIDENT NEED A LOT OF FAITH AND ENTIRE FILIPINOS TO BE SAVE BY GOD IN THE DEVASTATION OF WEATHERS AND GIVE US GOOD LIFE OR LIVING FOR ALL NOT FOR GOOD LIFE OF FEW PEOPLE, GOD CAN CHANGE AND STOP THIS WEATHER OUTCOME WITH OUR FAITH. 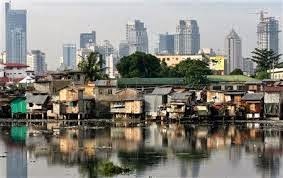 THE PHILIPPINES BECOME SICK MAN OF ASIA ACCORDING TO OTHERS IS POLITICS AND CORRUPTIONS AND IT IS VERY TRUE AND OUR SYSTEM OF GOVERNMENT AND SOCIAL SYSTEM MAKE US SICK MAN OF ASIA GIVING MALNOURISHED ECONOMY OR IN POVERTY ISSUES AND ECONOMY OF FEW PEOPLE ONLY. THE HUMAN RIGHTS IMPLEMENTATIONS IS NOT FULLY GIVEN FROM SIMPLY STANDARDIZATION IN LIFE AND NOT SIMPLY GIVING ENOUGH SOCIAL SERVICES LIFE MODERN AND FULLY SUBSIDIZED HOSPITALS. WE NEED ALL TO UNITE AND VOICE OUT TO GOVERNMENT AND OUR SOCIETY WHAT IS THE GOOD POLITICAL SYSTEM AND ECONOMIC SYSTEM AND SOCIAL SYSTEM AND UNITE FOR THE FULL IMPLEMENTATIONS OF HUMAN RIGHTS AND GOOD GOVERNANCE AGAINST INEQUALITIES, ABUSES AND CORRUPTIONS, EVILNESS IN ORDER TO HAVE GOOD LIFE AND GOOD COUNTRY ANDTHE MIRACLES IS VERY NEED IN HAVING THIS LIFE AND THE MIRACLES NEEDS TO PEOPLE TO UNITE FOR GOOD OF ALL. GOD AND MOTHER MARY LIGHTS AND MIRACLES, LIGHTS AND GUIDE US TO UNITE FOR GOOD OF ALL. 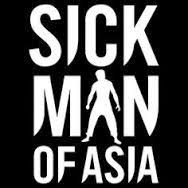 MY OPINION AND CRITICISM ALSO WHY THE PHILIPPINES HAS TO BE TAGGED AS SICK MAN OF ASIA BECAUSE OF THE ABUSIVE SKEPTICS IN THE GOVERNMENT SPECIALLY IN ENFORCEMENTS AND SOME PEOPLE SPECIALLY THE SICK INCOMPETENT AND IN SKEPTICS MEDIA HAVING ABUSIVENESS AND INEQUALITY ALSO IN JUSTICE BEING PARANOIDS TO OTHERS IN SUPPRESSING CRIMES OR FACING OTHERS. THE VIRAL SCANDALS OF SKEPTISM AGAINST CRIMES AND TOWARDS OTHERS COMPANIONSHIP ALMOST BITING OTHERS IN FACING THEM WITH SKEPTISM MAKES THE FILIPINO "SICK MAN OF ASIA'. 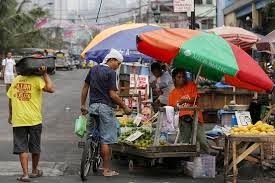 THE INEQUALITY OF MEDIA AND SKEPTISM MAKING THE FILIPINO TAG AS SICK MAN OF ASIA AND IT IS NOT HELPING THE ECONOMY BUT PUTTING DOWN THE ECONOMY AFFECTING PEOPLES LIVES AND PRODUCTIONS AND ABUSING AND OPPRESSING OTHERS. 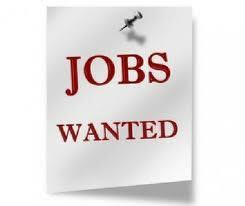 THE PHILIPPINES NEED GOOD GOVERNANCE STARTING IN FULL IMPLEMENTATIONS OF HUMAN RIGHTS GIVING EQUAL POLITICS AND ECONOMY AND CIVIL AND SOCIAL JUSTICE AND CULTURAL RIGHTS......THE INJUSTICES IN THE COUNTRY PRODUCE LOW ECONOMY. I PRAY AND KEEP FAITH TO GOD THRU JESUS CHRIST WITH HELP OF MOTHER MARY TO GIVE US MIRACLES AND MANEUVER THIS VIRAL ABUSES LIKE AIR BORN FROM MEDIA WITH OTHERS AGAINST THEIR INEQUALITY IN JUSTICE, ABUSES AND INCOMPETENCE AND OPPRESSIONS TO PEOPLE. 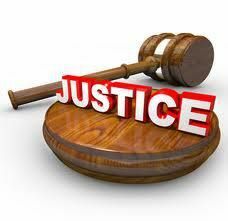 TO LIKE ABSCBN TO ABIDE HUMAN RIGHTS AND LAW AND DO NOT ABUSE THE PEOPLE OR TELEVIEWERS. IF YOU WANT GOOD SHOWS RESPECT THE PEOPLE AND AS PART OF OUR CULTURE IMPART GOOD AND EDUCATIONAL AND SUPPORT EQUAL JUSTICE....BRING FAIR AND JUST SHOWS FROM PUBLIC SERVICE TO ENTERTAINMENTS. I HOPE ALL THE MEDIA ARE NOT ABUSIVE USING THEIR MONEY AND COLLECTING MONEY TO MANIPULATE THE SOCIETY AND MAKE SHOWS AND FAVORS WHILE OPPRESSING AND ABUSING OTHERS. 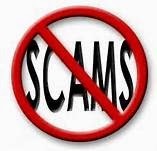 BE FAIR DO NOT GIVE GOOD PUBLICITY TO EVIL AND ABUSERS IN EXCHANGE OF MONEY WHILE ABUSING THE INNOCENT AND MASS PEOPLE. DO NOT MAKE MONEY IN EXPENSE AND ABUSING OF OTHERS. SIMPLY ABIDE LAWS AND HUMAN RIGHTS IN PROTECTING THE NATIONS OR THE PEOPLE IN SUPPRESSING ANY CRIMINALS FROM GOVERNMENT AND ORDINARY PEOPLE.